Bigfoot NE Youth Theatre is BOOMING! Bigfoot North East has seen a huge rise in schools booking after school clubs and weekend performing art schools recently, and we’re not surprised why! They offer a fantastic way to provide creative enrichment opportunities for children to develop confidence and performance skills in a safe environment…and are immense fun too!! Since Autumn 2015 Bigfoot NE have delivered a youth theatre at Denbigh Community Primary in Howdon, North Tyneside. Bigfooter Natalie works with a group of around 25 children 9.30-12 every Saturday. 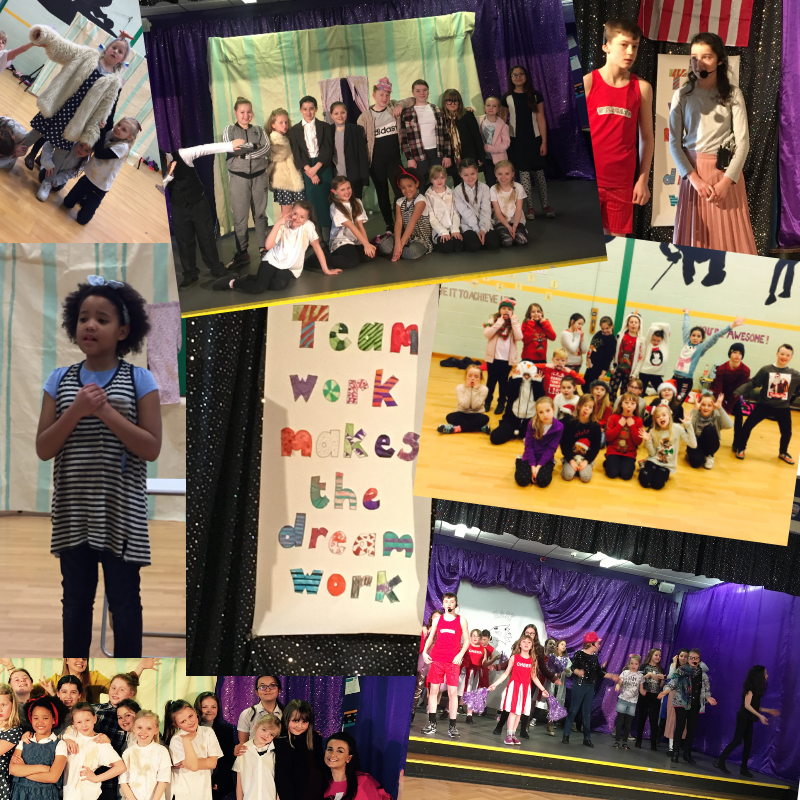 They develop performance skills in Drama, Singing and Dance through a range of games and exercises AND produce a show that is performed to the whole school, as well as family and friends. So far they have produced Bugsy Malone, Annie and High School Musical, and they have just started working on next years performance of Charlie and the Chocolate Factory. The children love coming and the sessions are affectionately referred to as ‘DAPA’ by all in the school – Denbigh Academy of Performing Arts. Everyone in the ensemble is a star and they are all given their opportunity to shine! We literally can’t wait to see their next show!